Today (October 22nd, 2016), we have listed 8 new Ford Rangers ads to our site. These listings span 1 different states and 8 model years. 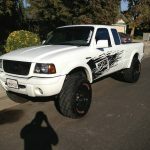 I am selling my 2001 ford ranger edge. It’s a 4.0l v6 automatic. 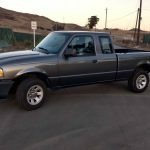 The truck has 255,000 miles but still runs really strong and hasn’t given me a single issue in the past 5 years..……. 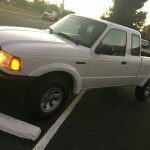 2005 ford ranger extra cab ….1 owner truck ….. Well kept ……Super clean interior …Like new …..3.0 liter v6 …Runs perfect.. Automatic transmission ……. … Just serviced ………. This entry was posted on Saturday, October 22nd, 2016 at 10:24 am	and is filed under United States. You can follow any responses to this entry through the RSS 2.0 feed. You can leave a response, or trackback from your own site.